All 4 has commissioned up-and-coming Sheffield based Salt Street Productions to produce a six-part series that explores some of Britain’s most interesting locations via a group of young, talented urban athletes. 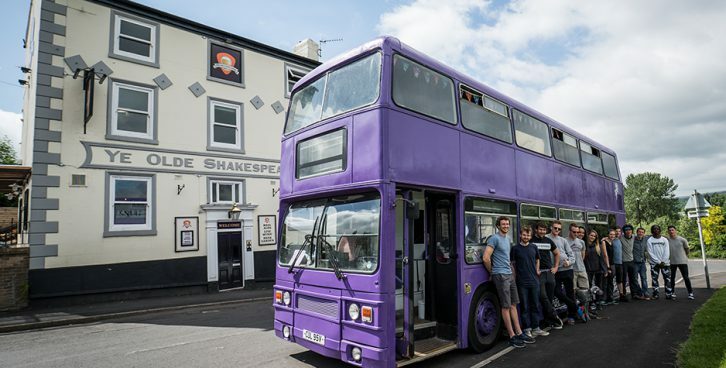 Travelling across the UK on a converted double decker bus freerunner Katie McDonnell, highliner Jediah Doohan, BMX rider Pete Catherall and skateboarder Calvin Ligono will breathe new life into six lost locations as they physically explore each space through their chosen sport. The history of each location is revealed as the athletes meet people local to the area who share their memories and connection to these now forgotten spaces. Salt Street Productions specialise in making short-form content about outdoor sports told from alternative perspectives. Their most successful films Red Run and Low Line have exceeded 10 million views online, receiving the critical acclaim of prestigious outdoor film festivals Kendal Mountain Festival and Sheffield Adventure Film Festival. The series was commissioned by All 4 following an open-pitch round hosted at Kendal Mountain Festival in 2016. Commissioned by All 4’s Thom Gulseven with Editor Daisy Mount, the series will release on All 4 in the Autumn. Katherine Solomon KSolomon@channel4.co.uk on 0207 306 1095.